His ties are world class, and the flies are tied for both the trout and the fly fisher. Here at rakkens.com we often have considered calling Thomas to beg him to fill our fly boxes. We do know how to tie a fly, but it seems that Thomas knows his way around the sport better than most. Tying a fly that’s both eye candy and a highly efficient fishing fly is challenging. A good tie requires insight into the life and anatomy of the bugs, how the fish perceive the little creatures, a solid dose of creativity, knowledge of materials, experience and guts. “I get my inspiration when I’m out running, not sitting behind the vise. Several of my patterns comes out of an exersise with my trainers on”, he smiles. Thomas is wood craftsman and lives together with his family in Alfta, a small rural village just an hour drive north of Stockholm (Sweden). A perfect place to live, both for his family but also to find inspiration for his flies. “I just have to open my bedroom window to hear the river calling. River Voxna and Ljusna run just outside my house giving me easy access to good rivers where I can test my flies”, Thomas says. Being a dad, he has just picked up fly tying again after some years of parenting. When the kids are young, you’ll have to be there for them and the family. Not easy to find spare time to spend behind the tying vise, being a dad. “I started fly fishing and fly tying as a teenager, but I had to lay down the vise for the boys who now are 15 and 17. But, during the last three years I have found the energy and time to tie flies again”, Thomas Roos says. There are few rights or wrongs when it comes to tying a good fishing fly. There are about as many views on a good fishing fly as there are fly tiers. For Thomas Roos however, it’s important that a fly is both visible to the fish and the fly fisher. “A killer dry has to present itself evenly on the surface and preferably give a good footprint that’s visible to the fish. The footprint as seen from the fish perspective is as important as the little details in the fly. Also, I guess it’s a good idea to increase the size by a fraction if there’s a heavy hatch”, Thomas says. But a good fly is a fly that helps the fisherman see the whole run, even in dire waters. “A fly is not good enough if it’s only attractive to the fish. As a fly tier I think it’s important to tie flies that are visible to the fly fisher as well. It’s easy in calm streams, but when the water gets turbulent it’s difficult to follow the fly and register the small takes and rises that big fish do”, Thomas explains. 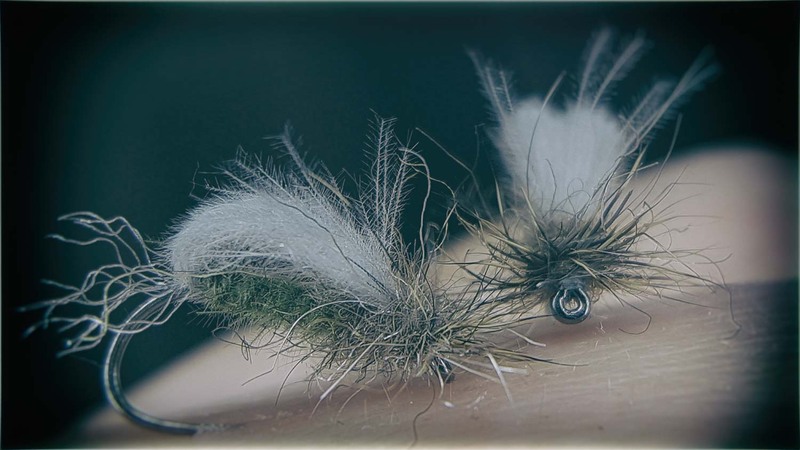 His fly tying philosophy is easily recognizable in his flies, each one with solid prints and clearly visible to the fish. But at the same time, Thomas incorporates little peculiar details that makes them killer bugs and visible to the fly fisher. 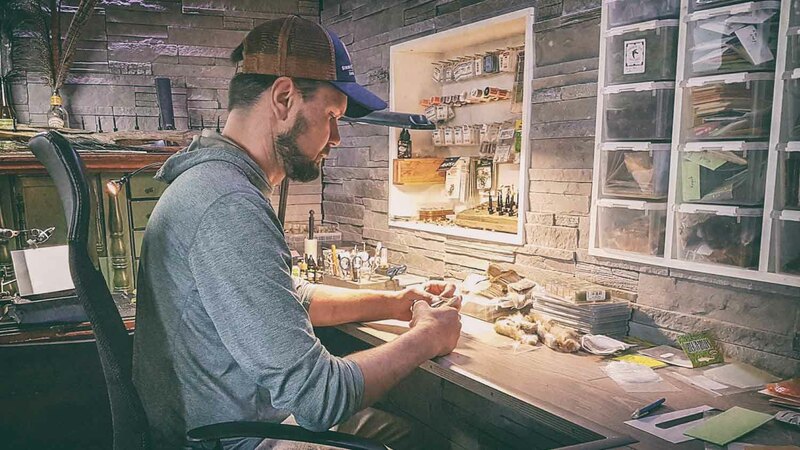 Given his extreme talent for fly tying, it’s easy to believe that Thomas puts all his faith in the fly. “Well, I don’t. A good fly is important to attract fish, but the fly is not the most important trigger. I am convinced that a good presentation is more important than the fly itself”, he says. Thomas Roos has not detailed his plan for the summer yet, but he will go on his regular trip to Finnmark as he has done for nearly 25 years. “I like being casual about my fly fishing, taking the opportunities as they come. I have booked a few days for fishing big trout in Gimån (Sweden) in late June. In July I will be traveling to Finnmark and the north of Norway with my pals. I hope for some great days fishing arctic char and trout”, Thomas Roos concludes. He ties two variants of his own spectacular pupae. 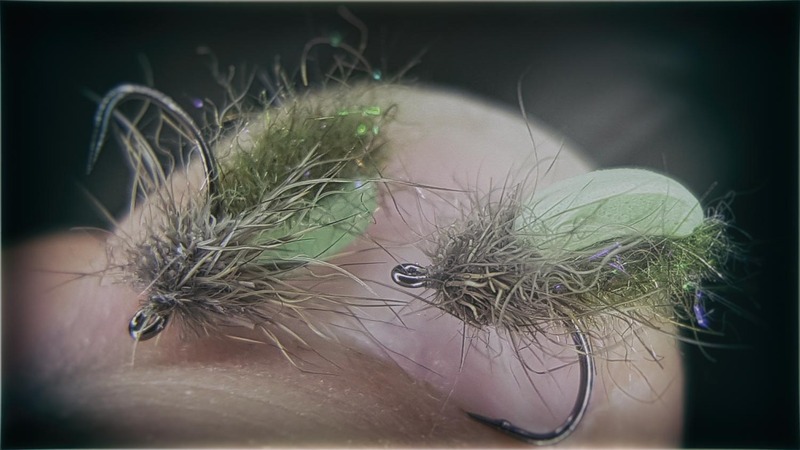 One slender variant that he use during mayfly hatches, and a slightly fatter boy for the caddis hatch. “These flies present themselves well and are visible even in the most demanding light and currents. I tie them in different sizes and colors to match the hatch”, Thomas says and explains that you’ll only need to apply floatant on the back of the pupae. Body: One twisted CdC feather. Legs: A few deer hairs tied in just behind the eye of the hook. Thorax: Mix squirrel and Antron. Split thread, apply dubbing and spin. The CdC back is tied in with 4-5 firm turns. The CdC is fixed just in front of the deer hair with a couple of hard turns. 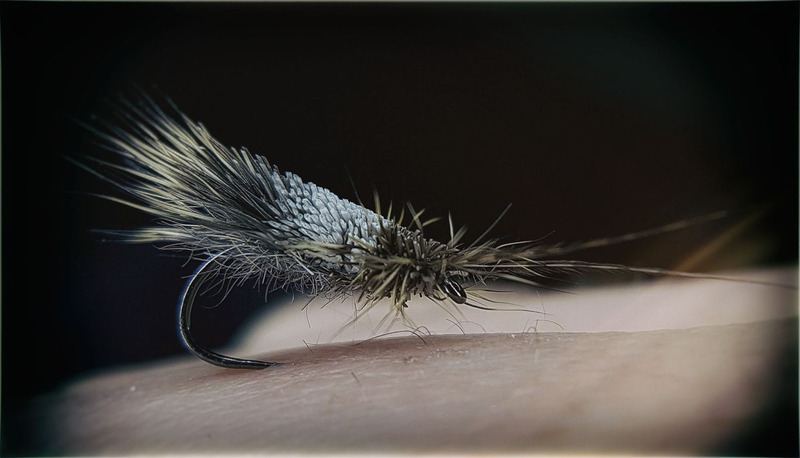 This is a variant of the Goddard Caddis that Thomas use when the caddis is dancing the river surface. The fly hangs heavy on the film, but floats extremely well thanks to the deer hair. Underbody: A mix of kapok, squrrel and polyamid dubbed in a split tying thread. Thorax/legs: Deer hair and snowshoe hare spun in a split tying thread. “I started fishing this fly a few years ago as a black beetle. During the years the fly is developed and now a favorite when the caddis pupas are on the water late in the summer”, Thomas says. Back: A two millimeter thick closed foam that is cut in three millimeter segments. I tie the foam on a needle, which I then dub with a mix of Whitlocks SLF and polyamid mix.